Set in the heart of the West Coast, Breakers is located overlooking the Tasman Sea with numerous lakes, rivers and creeks within easy access and ideal for kayaking, fishing and exploring. Whether you enjoy paddling across a tranquil mountain fed lake, are training for the Coast-to-Coast endurance race or if you are an adrenaline junky, the West Coast has many lakes, waterways and rivers to satisfy your passion. 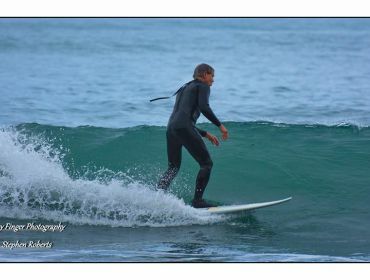 The Coast has some of the best white water in the world ranging from grade 2 up to grade 6+. Most of our lakes and waterways can also be explored by foot as many have walking tracks too and around them. Stephen enjoys kayaking himself and has competed in the Coast-to-Coast endurance race. Now days he enjoys getting out on our many lakes and more gentle rivers and taking in the breathtaking scenery. Stephen is happy to help with advice on where best for you to go depending on your level of fitness and ability. There are also a couple of commercial options available for taking a sedate trip up some of the waterways and enjoying the breathtaking scenery and birdlife. These options can be guided or independent. 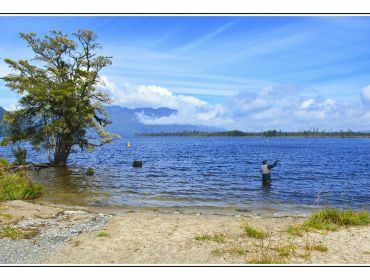 NZ has clean rivers and lakes perfect for freshwater fly-fishing, salmon fishing or trout fishing. You can join a freshwater fishing guide and we are happy to organise this for you. Alternatively, if you want to go it alone, you can bring your own gear and go exploring. Jan and Stephen from Breakers can point you in the right direction. 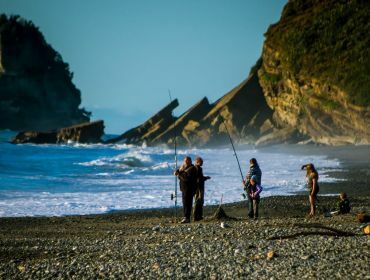 Salt-water fishing and surfcasting are also available options on the West Coast. 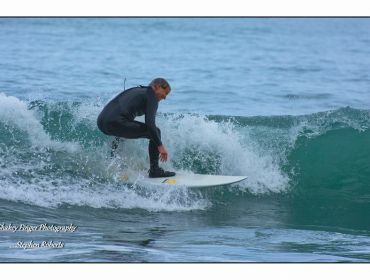 There are a number of charter boats available that offer deep-sea fishing options, or for some surf casting, you can join some of the locals and surf cast right at the base of Breakers at Nine Mile Beach. Day licence or full season licences are available. "Really delightful spot. Lovely rooms and entertaining host!"